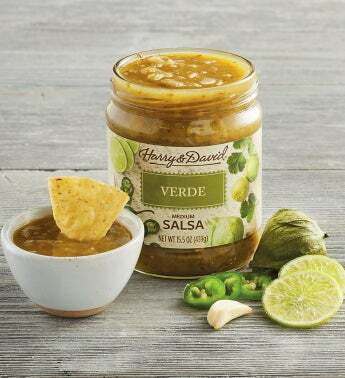 Bring this flavorful salsa dip to the table when you're enjoying your favorite chips. Our premium jalapeño salsa is made with green chilies, jalapeño peppers, onion, garlic, and a variety of spices. Just the right amount of heat makes this gourmet salsa perfect for adding a delicious kick to eggs, omelets, tacos, meat, and much more.